For more than 45 years, S. Elaine Thomas has enjoyed a fulfilling career as a music educator. She has been the director of fine arts at the Dallas Independent School District since 2007, and she loves having the opportunity to bond with students over a passion for music. Previously, Ms. Thomas has pursued her interests in roles like supervisor of elementary fine arts at the Lincoln Instructional Center, and music teacher at Pleasant Grove Elementary School, Kleberg Elementary School, Lenore Kirk Hall Elementary School, and Winnetka Elementary School. She has also held positions as a presenter and staff developer at the Dallas Independent School District, and a workshop presenter at the Texas Arts Council in Austin. When Ms. Thomas isn’t working, she enjoys using her background and talents for the betterment of the community. 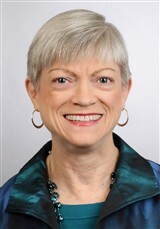 She presently sits on the board of directors of Quaver, a music organization, and is a lifetime member of the Dallas PTA. She also served as the director of the Dallas All-City Elementary Choir. Ms. Thomas prepared for her endeavors by earning a Bachelor of Music in education from the University of North Texas in 1970 and a Master of Education from Dallas Baptist University in 1997. She ensured she remained connected to her field and peers by joining prominent professional organizations like the American Federation of Teachers, the Texas Music Educators Association, the Dallas Music Teachers Association, the American Orff-Schulwark Association, the Music Educators National Conference, and Rotary International. In recognition of her accomplishments, Ms. Thomas has received the Bayard H. Friedman Hero Award and the Service above Self Award from Rotary International. Additionally, she was named Modern Band Educator of the Year by Little Kids Rock and Class Act Teacher by Station KDFW-TV, Dallas. She has also been featured in numerous editions of Who’s Who in America, Who’s Who in American Education, Who’s Who in the World, and Who’s Who of American Women. Ms. Thomas likes to cook, sew, garden and travel in her spare time.